A new sports centre, revamped shopping mall and music school have all been recognised for their architectural excellence in the 2018 RIBA Awards. They are among seven projects from across the wider region to be named winners at this year&apos;s West Midlands Awards run by the Royal Institute of British Architects. 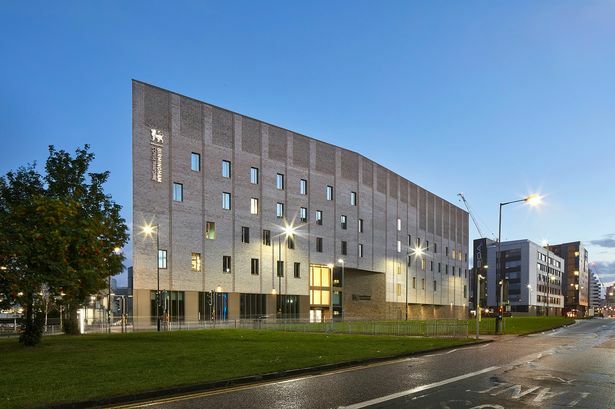 The University of Birmingham&apos;s £55 million sports centre, by Lifschutz Davidson Sandilands, opened a year ago and contains the city&apos;s only 50-metre swimming pool along with squash courts, a gym and dance studios. The Mailbox relaunched in 2015 following a £50 million revamp, designed by Stanton Williams, which included new-look malls and larger Harvey Nichols store. Completing the city&apos;s winners from last night&apos;s ceremony is the Royal Birmingham Conservatoire in Jennens Road which was designed by Feilden Clegg Bradley Studios and is the first new conservatoire to be built in the UK for 30 years. The music school and performance venue opened in September and replaces its former home at Adrian Boult Hall in Chamberlain Square which has been demolished as part of the Paradise project. The overall awards celebrate the best architecture across the country and regional winners will be considered for a RIBA National Award from which the shortlist for the coveted Stirling Prize will be drawn. Benedict Zucchi, chairman of the West Midlands judging panel, said: "This year&apos;s 11-strong shortlist showcased a broad range of project types. categories for sustainability and conservation. "The seven regional winners stood out because of the close partnerships they fostered between architect and client teams and the way difficult challenges posed by their sites and briefs were turned into inventive solutions that project a strong sense of place."